Recently, industrial distribution, the latest technique, standard and trend of China civil aviation aero-engine have become hot topics attracting more and more industrial experts, scholars and elites. China government puts more spotlights on this field so that it plans to support fund for aero-engine research and development, testing and transformation, which will promote progress of civil aviation aero-engine industry. China civil aviation aero-engine will be full of opportunities in the future 20 years. 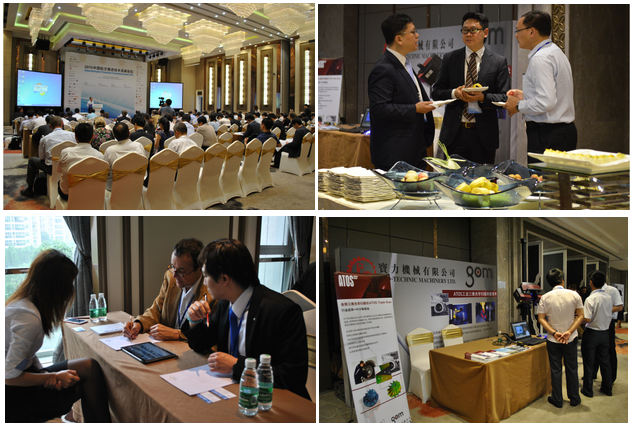 Under this background, China Aerospace Propulsion Technology Summit 2015, organized by Chinese Society of Aeronautics and Astronautics, Co-organized by AVIC Aviation Powerplant Research Institute, supported by Hunan Association for Science and Technology and hosted by Galleon (Shanghai) Consulting Co., Ltd., had successfully held in Changsha, China during May 27th-28th, 2015 with the subject "Focusing on Upcoming Aero Engine Projects in China". The opening addresses from Hunan Association for Science and Technology and Chinese Society of Aeronautics and Astronautics raised curtains on the summit. On the first day, YAN Wuying from AVIC Development Research Center, introduced Revolution and Innovation of Aerospace Propulsion Technology Industry through progress in aviation propulsion technology, approach to technology innovation and how to promote innovation. YAN showed that given that China aero-engine processed development ability of third generation engine, technology research of civil engine was start-up and new aviation propulsion technology research followed closely. Thus, it was urgent for development demand of new generation of aviation equipment and civil aircraft. Approach to technology innovation lay in three parts, first, Technology driving and demand drawing - fully develop demand analysis of aviation power technology and carry out exploration research of non-specific application background; Second, Learn from foreign fortes on technology - use successful experience for reference, improve scientific research system and use advanced management means, improve research and development efficiency; Third, Do something but not everything - start from own needs and self-capacity. Advanced manufacturing technology is a necessary for manufacturing enterprises to win competition. YANG Jianshi, Vice Director of AVIC Shenyang Liming Aero Engine (Group) Co., Ltd. delivered an address to delegates with the topic "Application of Advanced Manufacturing Technology and Equipment for Aero Engine". He said that the development trend of advanced manufacturing technology for aero engine mainly manifested in application from common-alloy to superalloy of heat resistant, high weight-strength ratio, transformation from regular machining to nontraditional machining, long term stabilization of material performance and geometry size and etc. With the coming of cloud era, bid data had attracted more attention. On the second day, Raymond PENG, China Analytics In-Region (CHAIR) Leader of GE Aviation, made a speech with the topic "Ensuring Flight Safety and Fleet Productivity with Big Data Analytics". Raymond indicated GE firstly put forward and carried out industrial internet concept in 2013 which was able to connect minds and machines and find improving direction through mass data analysis so that it could improve work efficiency and production rate and reduce operation cost. Big data analysis brought powerful outcomes to civil aviation industry, for customer outcomes, big data analysis could save fuel, enable flight safety, improve on-time performance and flight efficiency and productivity. GAO Jie, Vice President of Co-organization, China Aviation Powerplant Research Institute, analyzed development of turboshaft Aero Engine through its current situation, demands and prospect. He showed that the turboshaft aero engine had great prospect and China market had great demands, and peer both at home and abroad are welcome to cooperate and share the market together to promote the development of the turboshaft engine industry. In addition, the summit also boasted a panel discussion which was hosted by Mr. Klaus MUELLER and whose panelists were from CAAC Engine Airworthiness Certification Center, AVIC Aviation Powerplant Research Institute, Turbomeca, Bombardier and ACAE United Innovation Center. The panel with theme as Civil Aero Engine Airworthiness Certification aimed to introduce process of airworthiness certification and simplify complex problems to make the mass understood. The panel also included how to improve aero engine airworthiness certification and how to make our products get it more fast. China Aerospace Propulsion Technology Summit 2015 had attracted over 120 attendees including official leaders, domestic and foreign aero manufacturing delegates, famous college experts and popular media editors through speeches, exhibitions, panel and one-on-one meetings. It was said that China Aerospace Propulsion Technology Summit 2016 would be held in Guiyang and co-organized by Guiyang aero-engine association, what’s more, it planned to visit local aero-engine factory in Guiyang. Let’s look forward to next summit!